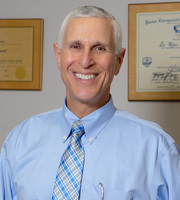 Over the past 35 years, Dr. Marc Daniel has been providing Chiropractic care to the Bergen and Rockland communities. He has created an environment where people can be relieved of pain through gentle chiropractic techniques, and live happier, healthier lives. He is a compassionate Doctor who has always put the interest of his patients first and has always taken the time to listen. Dr. Marc Daniel is licensed in New Jersey and New York and has spent his entire Chiropractic career in Ramsey, NJ. He has taught at New York Chiropractic College and the Texas Chiropractic College Externship Program, he has also made numerous Television appearances discussing different health topics. Graduating in 1981 from New York Chiropractic College, he remains an active member of The American Chiropractic Association and The Association of New Jersey Chiropractors. As a former marathon runner, Dr. Marc Daniel is a strong advocate of health and wellness care and makes it a priority for himself to continue to stay very active and exercise daily. In addition to running he enjoys hiking bicycling, yoga, lifting weights, and listening to opera. Dr. Josh Daniel is a National Board Certified Chiropractor and is licensed in both New Jersey and New York. Following in his father’s footsteps, He graduated with his Doctorate of Chiropractic from New York Chiropractic College in Seneca Falls, NY in 2009 and joined Daniel Family Chiropractic in January of 2010. Dr. Josh is a certified Webster Technique practitioner and has advanced training in Kinesiotaping, Ideal Protein Weight Loss, and Myofascial Release Techniques for soft tissue rehabilitation. 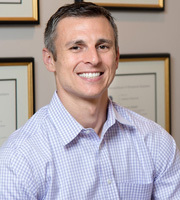 In addition, Dr. Josh is a Certified Personal Trainer through The National Academy of Sports Medicine and puts great emphasis on improving his patient’s lifestyle through proper exercise and nutrition. With a passion for skiing, tennis, hiking, and running, Dr. Josh continues to challenge himself physically and mentally and believes that Chiropractic care is an essential component to an individual’s optimal physical condition and peak performance. His personal accomplishments include the 2011, 2014 and 2017 New York City Marathons, and the 2011 Philadelphia Marathon.